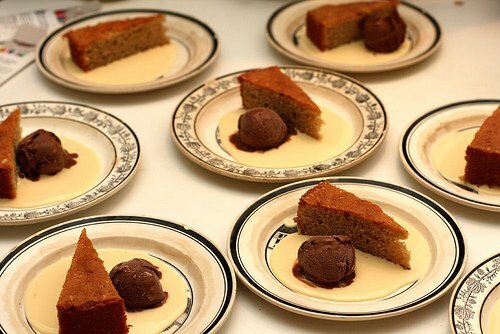 When I started working at Chez Panisse, there was something called crème anglaise on the menu…and my job was to make it. Of course, I had no idea what crème anglaise was – other than something with a funny name that I got in trouble for pronouncing wrong on several occasions. But I pretended I knew what it was when everyone was talking about making it to go with the desserts. And luckily for my career, after a few years, I probably made at least one batch everyday for the next thirteen years, and stirring up a batch of crème anglaise became second nature to me. Also when I started at the restaurant, I was told I needed four things: A chef’s knife, a paring knife, a bread knife, and a zester. So I bought a slightly fancy German one with five wide holes, whose sharpness was a revelation and it took wide strips of zest off a lemon or an orange in one easy motion This was before the advent of rasp-style zesters, which I usually reach for, but when I moved to France, I brought along my trusty zester which I’ve kept close by since 1983, and it’s still as sharp and as easy to use as the day I bought it. I’ve learned over the years that the best way to keep your knives and kitchen tools sharp and in good working order is not to let others use them. And I’ve also learned the best way to get the most of the fragrant citrus oils out of citrus fruits is to zest directly into the mixture that you’re steeping. Otherwise, the fragrant oils end up on the countertop or cutting board, and I don’t know about you, but I’d rather have them in my custard sauce than have to lick them off the cutting board. There’s a growing – and welcome – consciousness about things that are local here in Paris. And while folks might argue that much of the area in the Île-de-France is set aside for industrial agriculture, after living in the United States – and because of my American optimism – I’ve seen what can happen if people start demanding things from, and supporting, local farms and producers. So while I’m slightly skeptical of large-scale supermarkets touting “petit producteurs” (like ‘Milk from Here’), these things usually begin as something seen as ‘trendy’, then become the norm. So I’m buying it. A while back I was engaged in a debate with Michael Ruhlman about whether crème anglaise has cream in it or not. To bolster his argument, he cited a few contemporary recipes (including his) that have cream in them. Food does change over time, but I’ve never met anyone (except for Michael, who likes rich foods, and we actually had that argument on a beach in Mexico) that felt that crème anglaise wasn’t rich enough made with just milk. And that wasn’t the margaritas talking. Crème anglaise isn’t meant to be “impossibly” thick or too sweet; it’s meant to be an accompaniment, to balance flavors of cakes and other desserts, or act as a liaison, for desserts like the buckwheat cake and chocolate ice cream I made for someone’s birthday this weekend. That said, crème anglaise is quite good poured alongside a frosty fruit sorbet, when a bit of richness and contrast is desired, or even with a bowl of strawberries. Whatever you do, do not substitute low fat or nonfat milk, as you won’t be happy with the results. And I know that Michael wouldn’t be happy if you did that either. This pouring sauce goes well with a variety of desserts, from a bowl of fresh berries to pooling under a wedge of cake. You can leave out the orange and swap out a vanilla bean and a touch of extract when it’s finished. And there’s a slightly zippy variation with Sichuan pepper at the end.Crème anglaise should be served icy-cold, so make it well in advance, and give it time to chill. If you wish to serve it in a pitcher or bowl, chill the vessel first as well. 1. Pour the milk into a medium saucepan and add the sugar and salt. 2. Grate the zest of the oranges directly into the milk. Warm gently, then remove from heat, cover, and let steep for one hour. 3. When ready to cook the custard, make an ice bath by putting ice cubes and a small amount of cold water into a large bowl and resting a smaller metal or glass bowl in the ice. Set a fine mesh strainer over the top. 4. Whisk the yolks in a separate small bowl. 5. Gently rewarm the milk, then slowly pour it into the egg yolks, whisking constantly as you pour. Scrape the mixture back into the saucepan and cook over moderate heat, stirring constantly with a heatproof spatula, until the custard begins to thicken and coats the spatula. 6. Immediately strain the custard into the bowl set over ice, pressing the zest in the strainer to extract as much flavor as possible, then discard. 7. Stir the custard until cool. 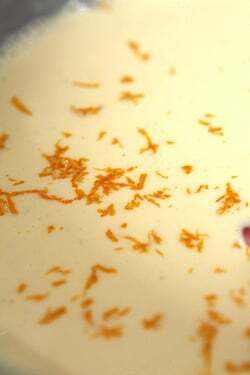 When the crème anglaise is cooling, grate a few swipes of fresh orange zest into the custard, which looks nice and adds a touch more orange flavor. If you’d like, add a spoonful of orange-flavored liqueur, such as Cointreau or Grand Marnier, or a few drops of orange oil, to augment the flavor. Storage: Crème anglaise will keep up to three days, well-chilled. Variation: To make Orange-Sichuan Pepper Crème Anglaise, infuse 1/2 teaspoon coarsely crushed Sichuan peppercorns along with the orange zest. I like your approach on the amount of citrus to use when calling for zest, and it seems that a bit more than what the typical recipe calls for is always an acceptable method. And it is much easier to just go ahead and zest the entire lemon, lime, orange, etc…instead of the partial fruit to meet the requirements for 1 teaspoon, and such. I can see this version of the sauce as a great accompaniment to the famous Floating Island. 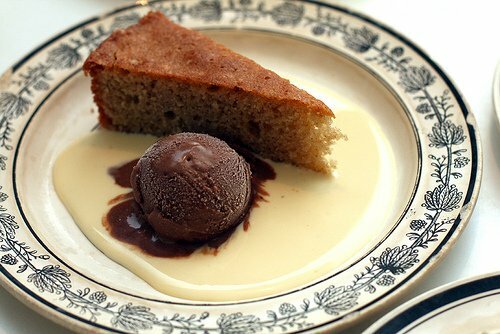 I was just thinking this weekend about making something with orange and chocolate, and this creme anglaise looks perfect with your chocolate ice cream. 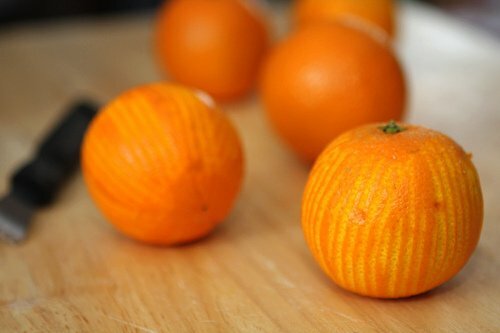 Also, love the way your zester makes the oranges look like they’re wearing striped shirts! 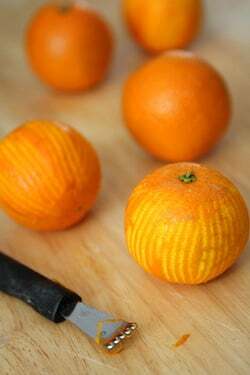 I LOVE the taste of orange and I will definitely try this recipe for it—thank you for sharing it with us! Hi David: I was wondering…should creme anglaise still be served icy cold even with a souffle straight from the oven? This sounds and looks delicious – I bet your friend had a great birthday. There is something so delicious about ice cold creme anglaise. I love it with chocolate, but your buckwheat cake is calling to me! It has taken close to 18 months for you to weigh in on the argument that you and Ruhlman had on this subject. It is interesting to see the differences in the “traditional CIA” recipe in comparison to what evolved out of a busy kitchen. I would love to be able to make a real time comparison of the two versions made by the battling bloggers, and that is the hunger talking. I’m completely with you on zesting directly into the mixture. (There is nothing more frustrating than leaving the best part of the zest on the plate or cutting board.) 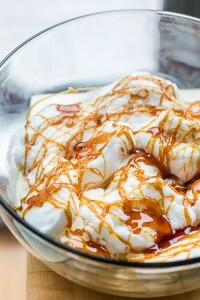 I love the simplicity of this recipe – have to try it, along with a great meringue recipe for the leftover egg whites. David, I feel compelled to tell you that although I’m a convert now, that zester only added to my anxiety attacks on my first day at Le Cordon Bleu’s patisserie program here in Paris just a couple of weeks ago. I am certain it’s one of the reasons the chef looks at me with disdain ;) Vive les Microplanes! Love creme anglaise but never made it. Might try now. Today I had a piece of delicious fig and orange cake I picked up from a London market yesterday. Thanks for the recipe. I see that your zester leaves half the zest on the orange. I’ll stick with my microplane. Finally, someone speaks out on zesters and the correct use of same. Zesting directly into your batter (or whatever) is the only way to go. Recipes that say otherwise get a big “haarumph” from me. BTW: “Boulette’s Larder” in SF has Tahitian vanilla salt crystals which I used in a batch of vanilla ice cream (basically Lindsay Shere’s recipe). Nice. Always happy when there is custard involved (must be the Anglaise part of me!). Big fan of microplanes too. The pepper version sounds really interesting. I can’t wait to try this one, I am sure the slight tart flavor of the orange zest is perfect for the richness of the chocolate ice cream…..
100% with you on the no cream in crème anglaise. But am I alone in liking my crème anglaise lukewarm or cool, but not ice-cold? If it was ice-cold, it would be ice cream. Yum! 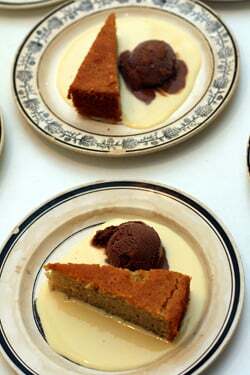 That would go so well with Claudia Roden’s flourless walnut brandy cake from “The Food of Spain”. Will definitely try this. Hi David – I always read your blogs and find your writing excellent with very interesting subjects. Had lunch today, on the beach in the beautiful sunshine with a clear blue sky, with Julie Mautner. She suggested I write to you and offer to share our experiences of the wonderful Provencal market here in Cannes – the Marche Forville – as it is real entertainment and wonderful fresh local food changing every season. So do be in contact and advise if you ever come to the French Riviera. I’m sure you hate when people do this, but is there any chance you could point me to a similar buckwheat cake recipe? I would love to make it. David, your variation of crème anglaise using Sichuan peppercorns sounds very delicious and different. This past week-end, after a reader commented on my blog about Japanese spices, I learned that Sichuan pepper is not really a peppercorn, but rather the outer pod of a tiny fruit that is not even related to black pepper. According to Harold McGee and Wiki, rather than having a peppery flavor, Sichuan pepper imparts a tingly, mouth numbness that prepares the mouth for other spicy flavors. I don’t know if I will be able to find any here in Mexico, but I can’t wait to try it in crème anglaise. I think a tiny dash of chile powder — my nod to all things Mexican — would make a great addition to the Sichuan pepper effect. Just curious…was the pinch of salt always a part of the recipe ? I am with you on the no cream …but why the salt ? It seems that everyone is adding salt to everything these days !!!!!!!!!!!!!!!! I use a zester too, but there doesn’t have to be any waste. Just run the zester again down the remaining peel and you get it all. I remember the first time I made that in highschool form an Emeril Lagasse book..it turned out a bit runny,but my grandparents made it seem like the best thing in the world. I agree with you – zesting on a board is a huge waste of all those precious essential oils – a huge NO for me too! Hallelujah. So with you on omitting exact citrus zest measurements! This recipe sounds spectacular, and like the perfect vehicle for trying my first batch of vanilla beans that are in the mail. So you let the milk steep for an hour, warm it up again, add it to the egg yolks, then cook the custard? Is that correct? 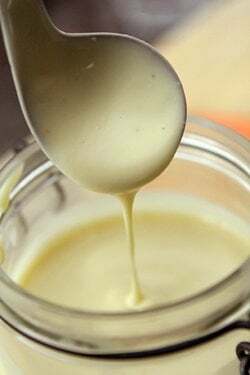 There is something so deeply satisfying about making creme anglaise–the way it engages all your senses, that moment when you feel it thickening ever so slightly against your spoon, and you can actually hear how the sound of the stirring changes. Oh, and those little wisps of steam that come up just before it’s ready. . . but cream in creme anglaise? Feh! When I use a microplane to zest, I end up with with everything stuck to the underside of the microplane due to the stickiness of the oil. Then you have to scrape it off, losing some of the goodness of the zest in the process–kind of like leaving the good citrus oil on the cutting board. I love my German zester and think it’s the best way to zest. Mine too is old and still sharp. Is the buckwheat cake recipe in one of your books? This sounds wonderful and I would definitely agree with you on zesting directly into your dish so as not to lose those essential oils. With all these ingredients on hand I may just have to make your recipe tonight to have with a piece of cake. Veronica and Monica: Of course, food should be served the way you like it (well, for the most part) and I like crème anglaise to be super-cold, especially with a hot soufflé – the contrast between the temperatures provides a wonderful sensation to me. mango: I like and use my Microplane zester for a lot of things, including ginger and garlic, as well as those times when you’re not straining out the zest but want little pieces, but I like the way this kind of zester pulls off long shreds for some reason. It just feels really satisfying to zest an orange or lemon with one. But I keep a few kinds of zesters around…because they each serve a different purpose, depending on the recipe. Ann: I looked around to see what brand my zester was and couldn’t find it. And I hadn’t used it in a while, but was happy to rediscover it! I do believe my birthday cake on Wednesday will need to be accompanied by this orange deliciousness. And I had to snicker at your comment about keeping knives and kitchen tools in working order. My boyfriend is a chef and his kit is off limits. Delicious! I love citrus zest in just about anything…. I’ve got this in my ‘to-do’ list. Orange (with a bit of chocolate on the side) is amazing, especially when it’s authentic, fresh. Can’t wait to make this. My 3-year-old insists on eating only egg whites and the yolks are piling up in the fridge. (Eggs and milk are farm fresh from a local Amish dairy here in Indiana.) Love the idea of this with some kind of prune pudding or cake. Thanks once again, David! I (kind of) agree with Michael Ruhlman about the Creme Anglaise. In my text book “Professional Baking” 4th edition by Wayne Gisslen (Le Cordon Bleu) it states , after the recipe is given, that “for a richer Creme Anglaise, you can substitute heavy cream for up to half the milk”. So that’s the way I learned how to make it. Other than that, I have always enjoyed your blog, your books, and your pictures. That ice cream…. I want it now. Maya: It’s funny because I used to work in an Asian restaurant and the cooks would use tons of egg whites, and hand me bowls of yolks. And I mean, big bowls. It was great because I was making ice cream. But in general, pastry chefs usually have lots of egg whites leftover. In France, bakeries usually have giant meringues piled up on the counter – to use ’em all up! Bertha: With all due respect to Mister Ruhlman (and Mr. Gisslen, who I don’t know), La Bonne Cuisine de Madame Saint Ange (first published in 1927), which is pretty much considered the classic book on French home cooking, as well as the other French classic cookbook, Je Sais Cuisinier (1932) there’s no cream in crème anglaise, just milk. 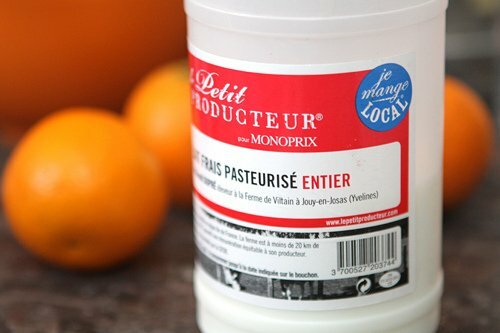 Also the formula in the textbook for The French Culinary Institute (under the direction of four French chefs – Jacques Pépin, Jacques Torres, Alain Sailhac and André Soltner) – uses all milk. I don’t have a copy of Escoffier but I’d be interested in seeing if there was an actual recipe from a French cookbook that had crème anglaise made with cream in it. That said, I do think food and tastes change over time and we don’t necessarily have to be enslaved to old formulas and traditions. But crème anglaise is already pretty rich stuff, thickened with all those egg yolks, so I’m not sure why cream would be used. The only instance I could see adding it would be if you plan to churn it into ice cream as the additional fat helps keep the ice cream softer and creamier once frozen. I was always daunted by the words Creme Anglais. But after reading your perfect and simple instructions I will make it at last. You have such a gift for imparting your knowledge and I just want to thank you. I’ve lived in Monaco and “06” for 12 now years and I agree with your comments about “petit producteurs” products. I love buying their Gariguette and Ciflorette strawberries in the spring because they cost half the price of the ones in the outdoor markets but they are the same quality. What’s not to like? It’s a brilliant concept because it’s a cost effective way for smaller producers to have access to a reliable distribution chain that they normally wouldn’t be able to afford. I have never made something like this, but as I have all the ingredients on hand, I’m going to give it a shot right now! Hello David, the first creme anglaise I tried was your recipe in Ready for Dessert. It turned out perfectly and poured over a bowl of raspberries, it was a real revelation for me. I seldom use zest as I cannot get quality organic lemons or oranges here, but I did add a touch of Grand Marnier. It was a bliss. Thank you so much for the tip on zesting – I feel like I am always wasting flavor by zesting onto a cutting board and then scraping it into the dish. Love this recipe, and the pictures and plates are gorgeous. The buckwheat cake recipe is in Ready For Dessert. A small slice of that with the tiny scoop of dark chocolate ice cream and a bit of creme anglaise makes for a sophisticated, light dessert I might spring on the family for Thanksgiving or Christmas dinner. Even setting the taste aside, the plate itself is beautiful. mm creme anglaise. so pretty and gentle. this looks lovely, and i’m very curious to try that buckwheat cake! 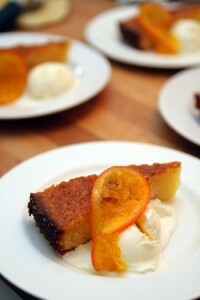 I usually drizzle a little heavy cream on my desserts but find it a bit too rich (sorry Michael!). I’m really excited to try this and I’ve been experimenting with sucanat lately and think it might work for the creme anglaise (though I realize it will give it a molasses flavor). At the patisserie in MD where I work, we use only milk in our creme anglaise: no cream. The head chef is from France. The end result is quite delicious and plenty rich. That said, it took me about a dozen attempts before I was able to make it thick enough to everyone’s liking without overcooking it and causing it to separate. Practice makes perfect, and I wish everyone who tries this good luck. Mmmmm… looks and sounds lovely. Just the images of those marked oranges makes me taste the zest in that rich sauce. 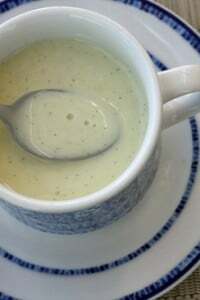 FWIW, the crème anglaise recipe in the Larousse Gastronomique is milk-only. Escoffier is milk only too! Sounds delicious, I can’t wait to try this recipe! Great! this article is very intresting.